The Canadian North offers some Incredible History. 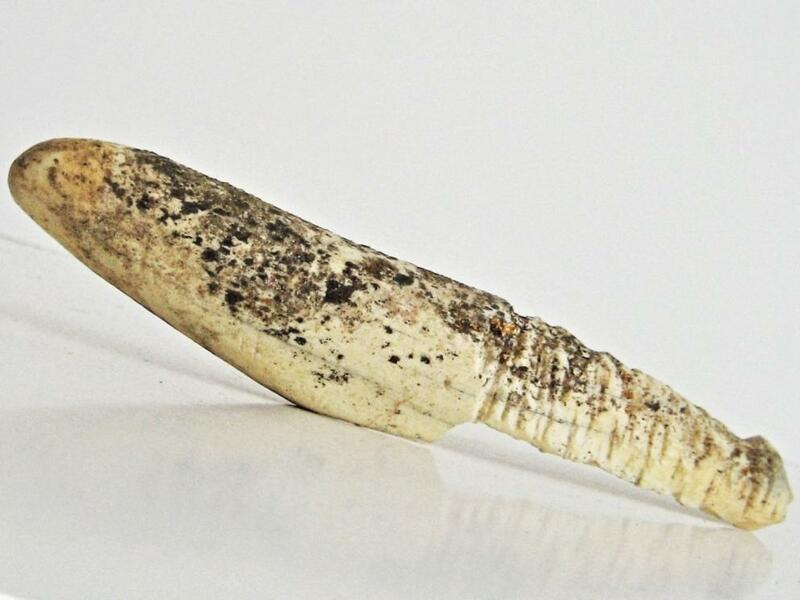 This offering is a rare Nunavut artifact from a large Canadian collection gathered over several years. The description speaks for itself. Don't miss this opportunity to acquire a somewhat rare piece of Canadian History. 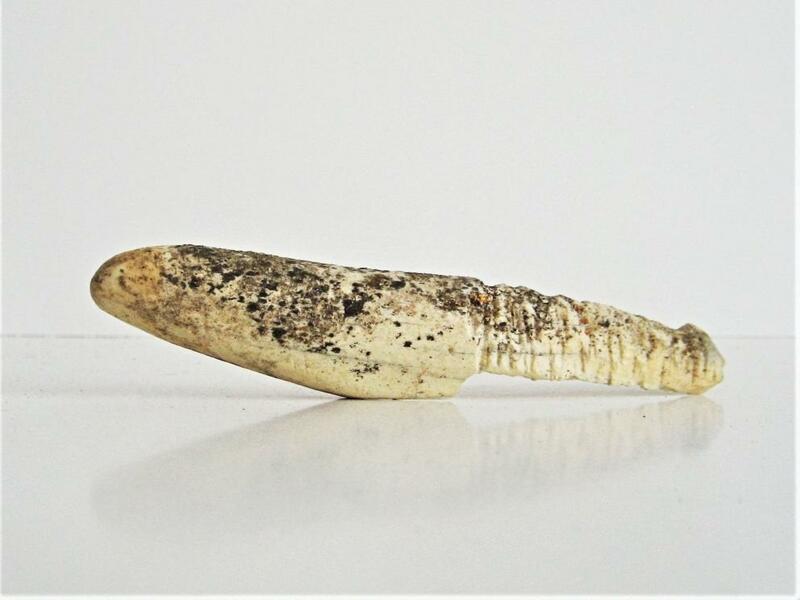 Found in 1981 in what is now Nunavut, this rare artifact is part of a collection accumulated over many years while flying land-use surveys throughout the Arctic for the federal government. Cultural data for the archaeological field survey portion was coordinated through the Museum of Civilization and this item was confirmed as Thule in origin along with its purpose. The history of in the Arctic goes back roughly 1,500 years and is intimately tied to the Thule peoples, the ancestors of Inuit. The Thule people’s vast majority of early carvings were mainly utilitarian objects made from bone, antler, ivory and wood, such as hunting implements, dog harnesses, and toys. 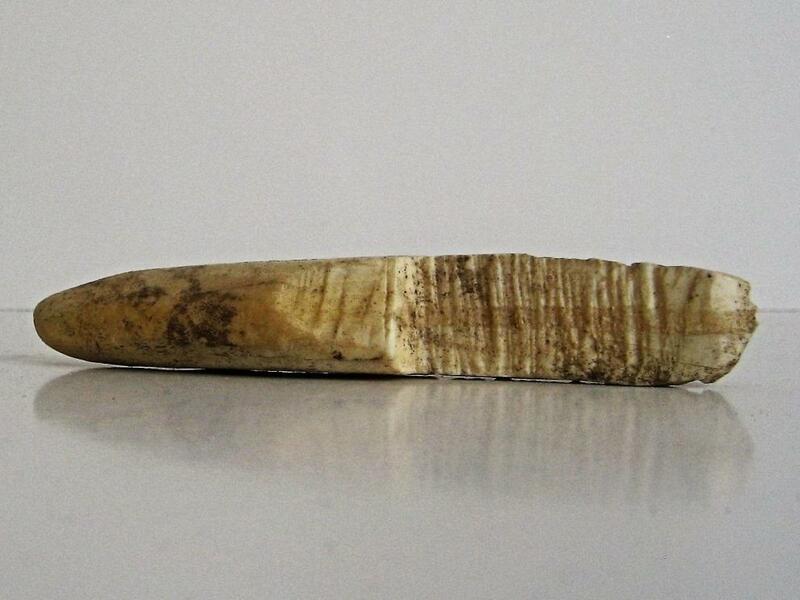 According to the Canadian Museum, the harpoon head is carved from ancient whale bone 5” long by 1” wide. Approximate age is 1000 to 1700 AD. 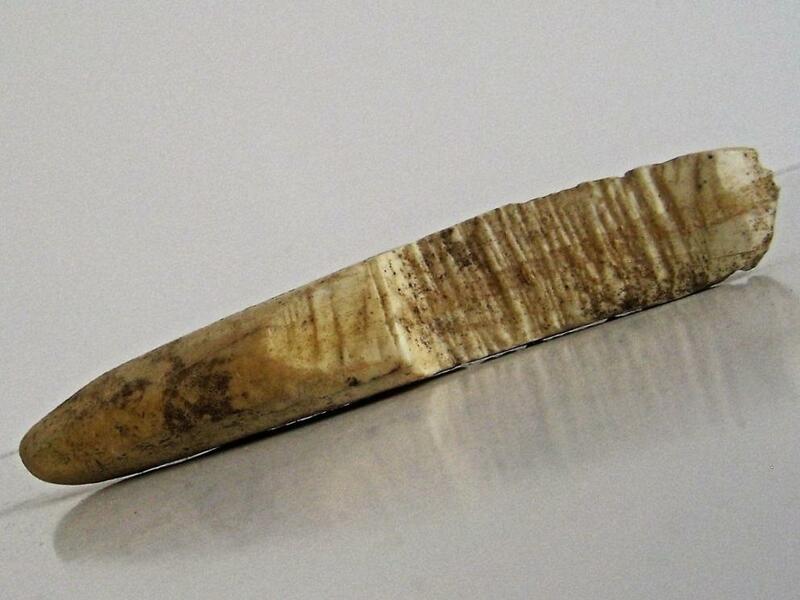 The implement is carved from ancient walrus ivory. The total weight is 2 oz. All Thule artifacts bear wear and may have slight breakage born in antiquity.